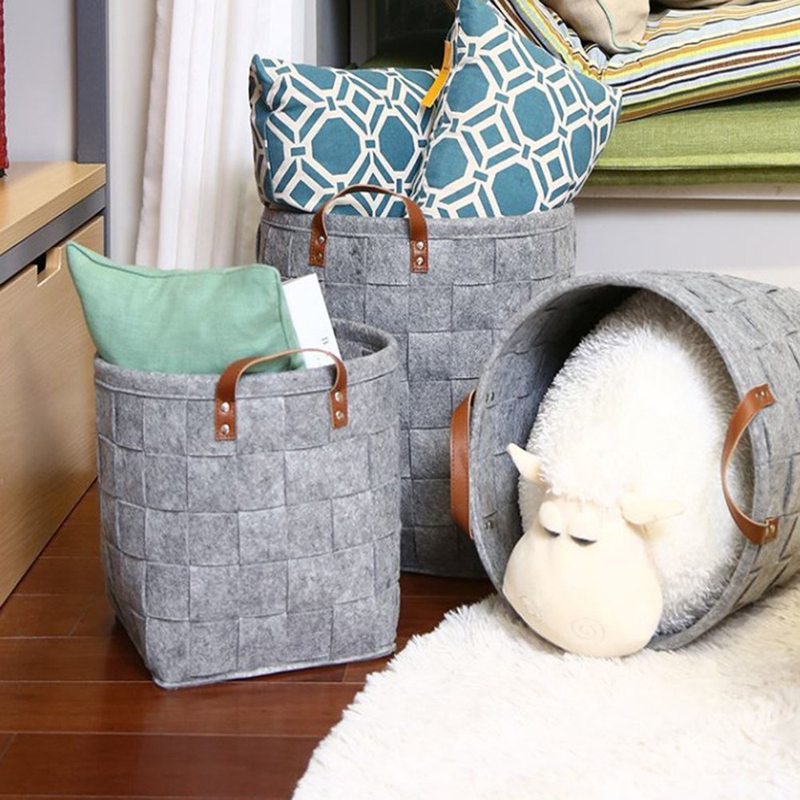 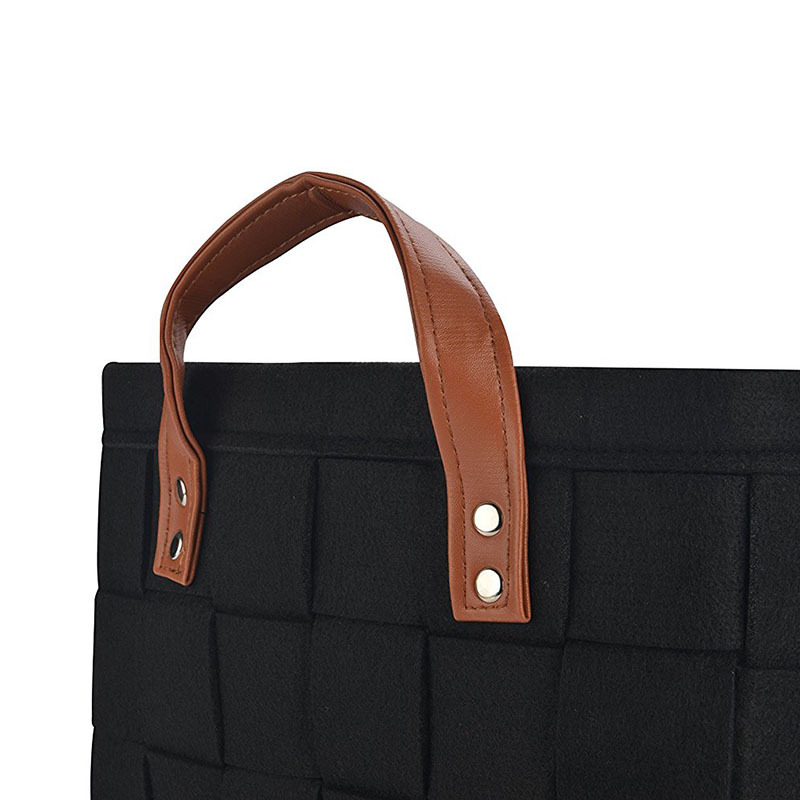 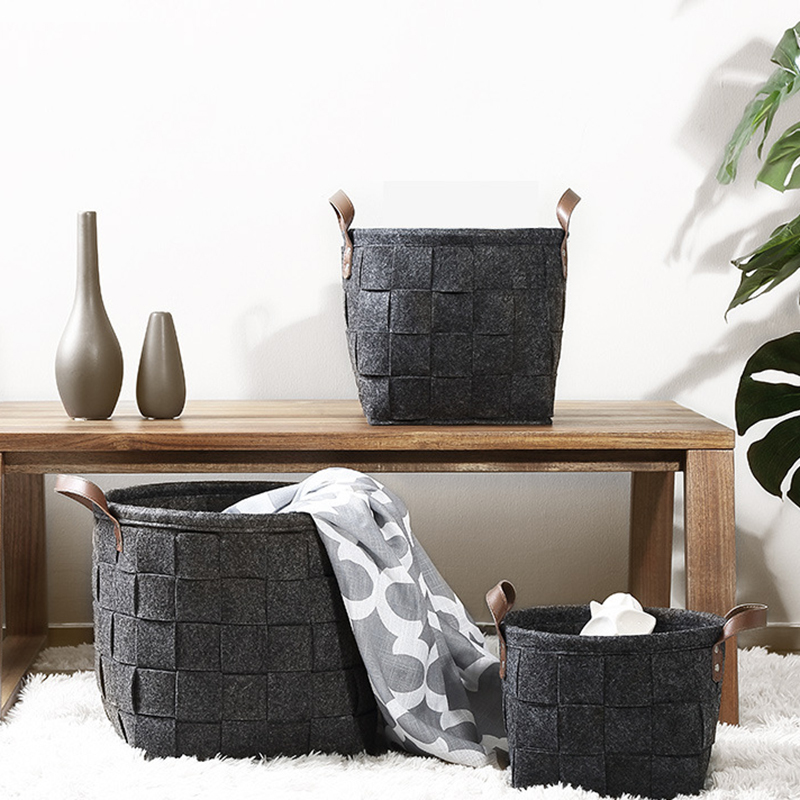 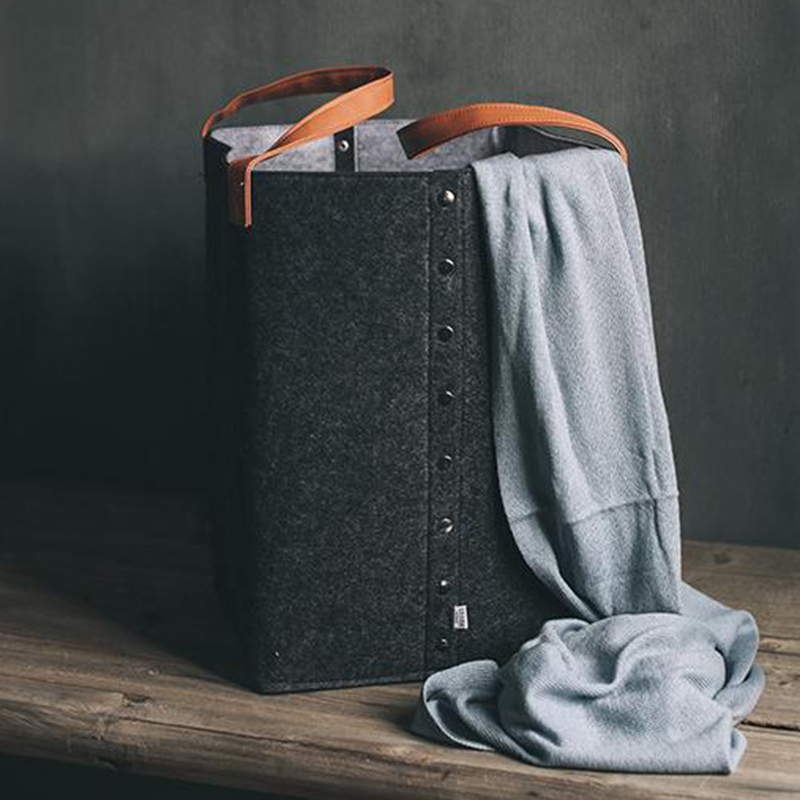 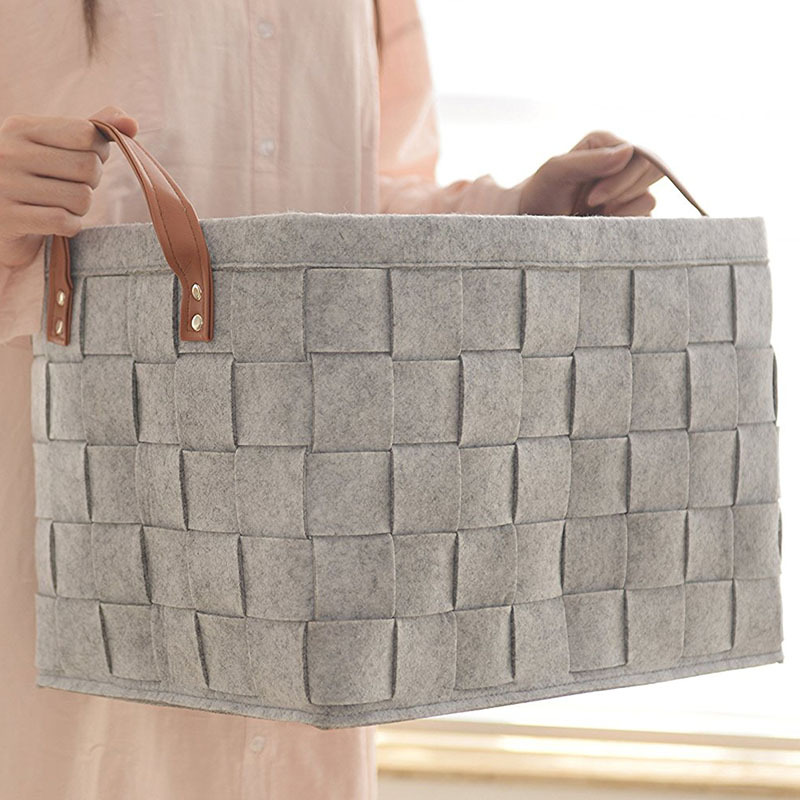 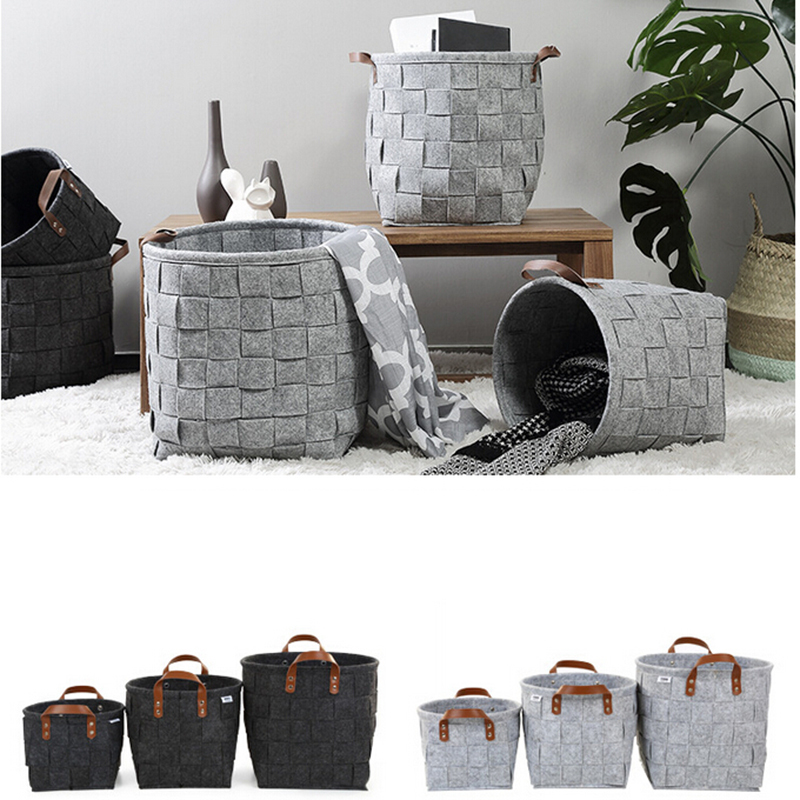 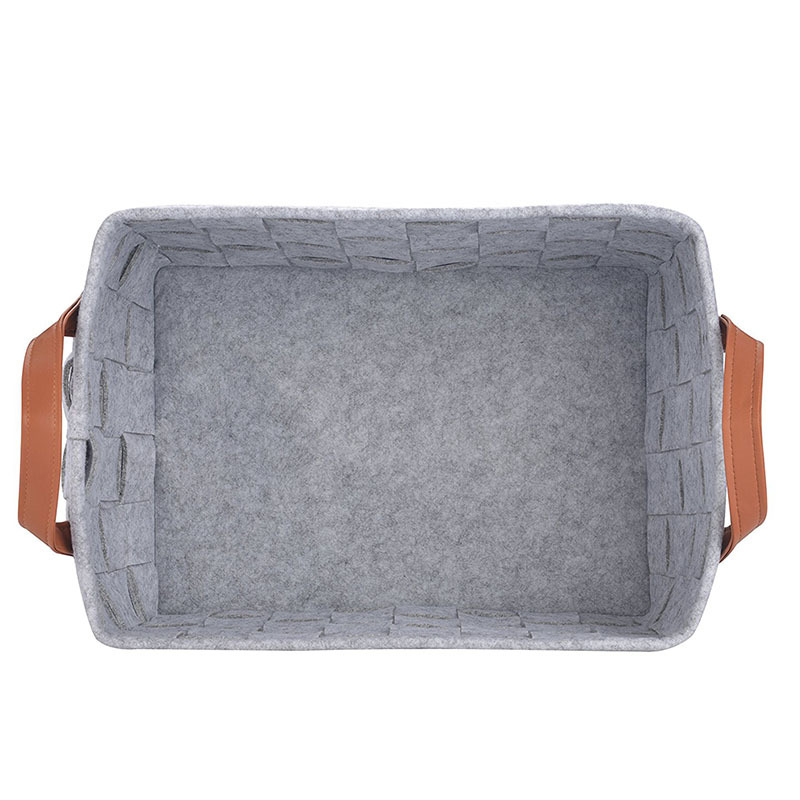 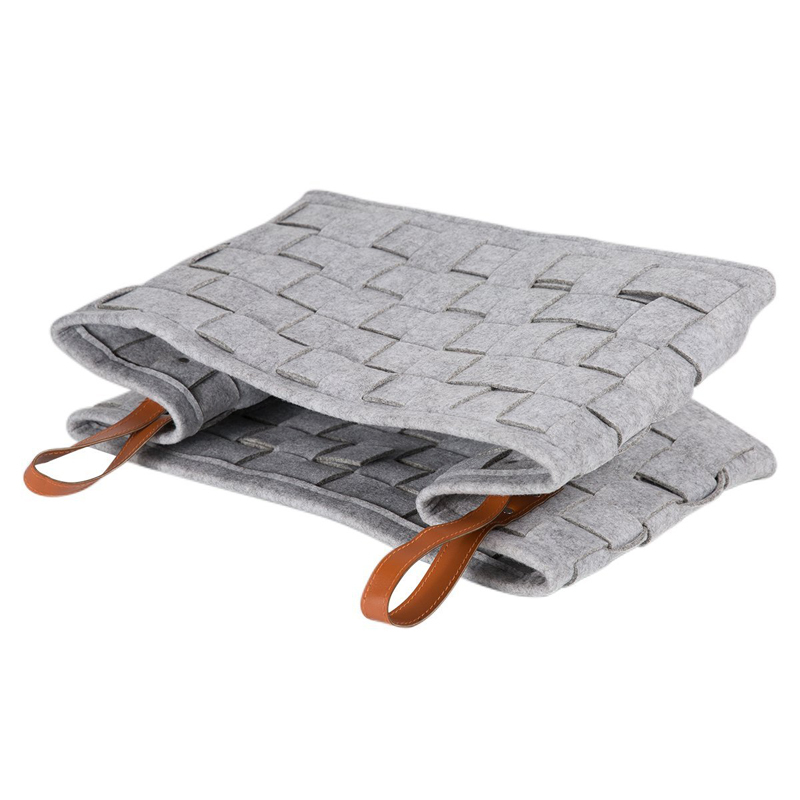 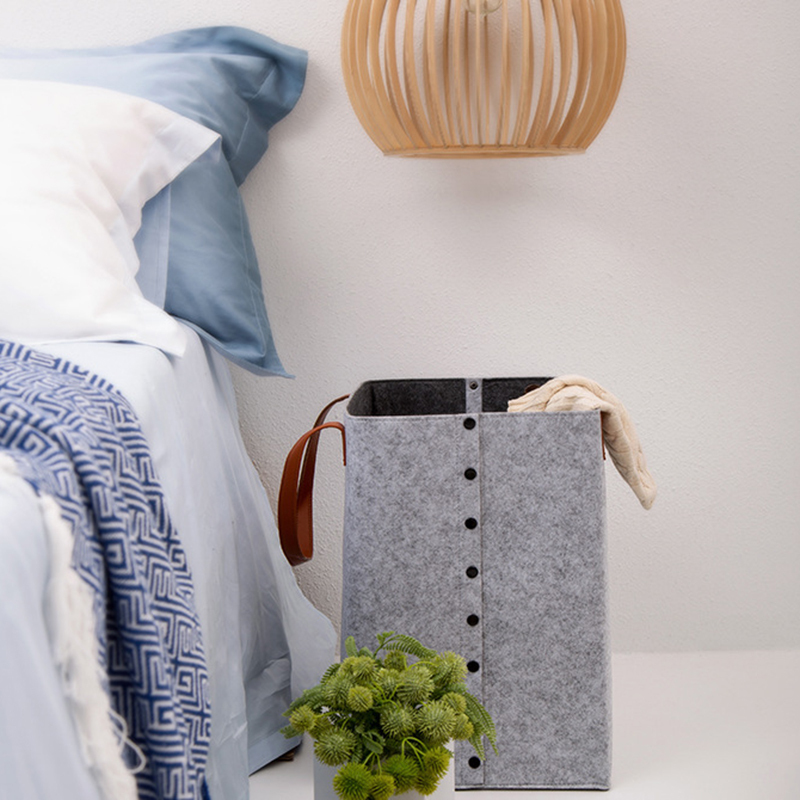 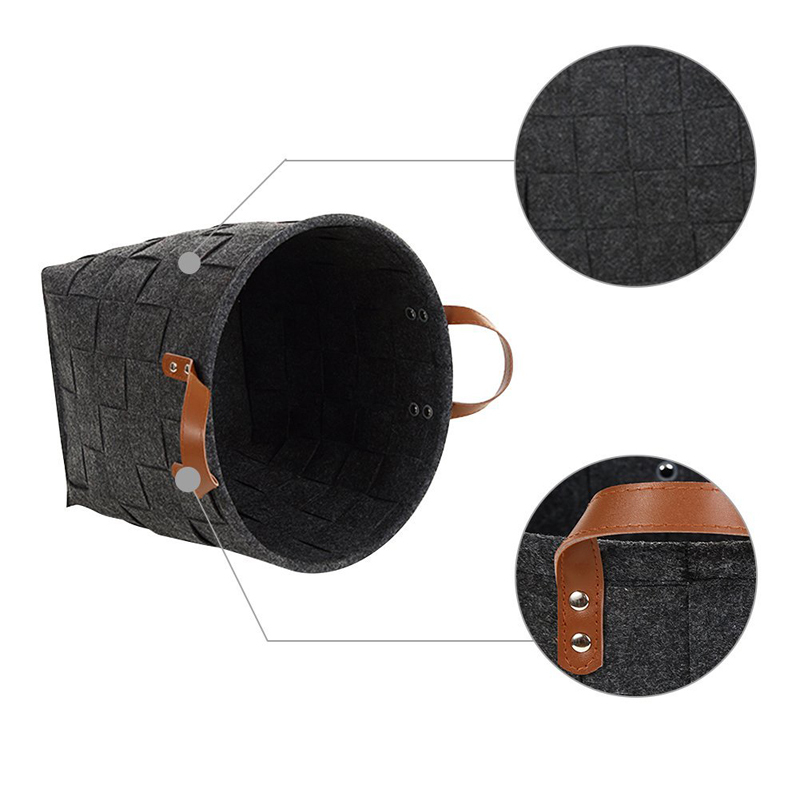 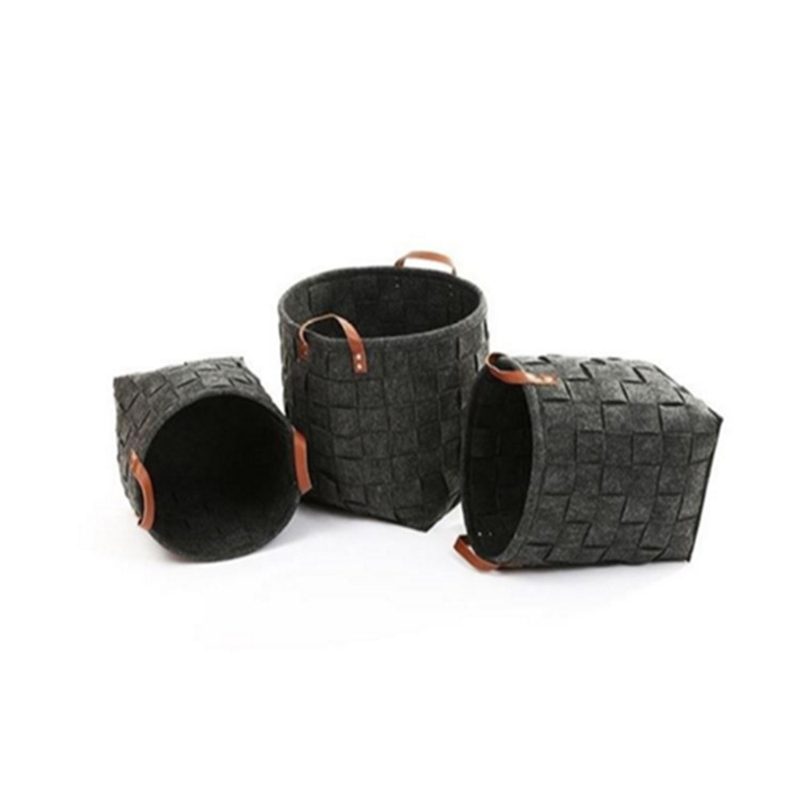 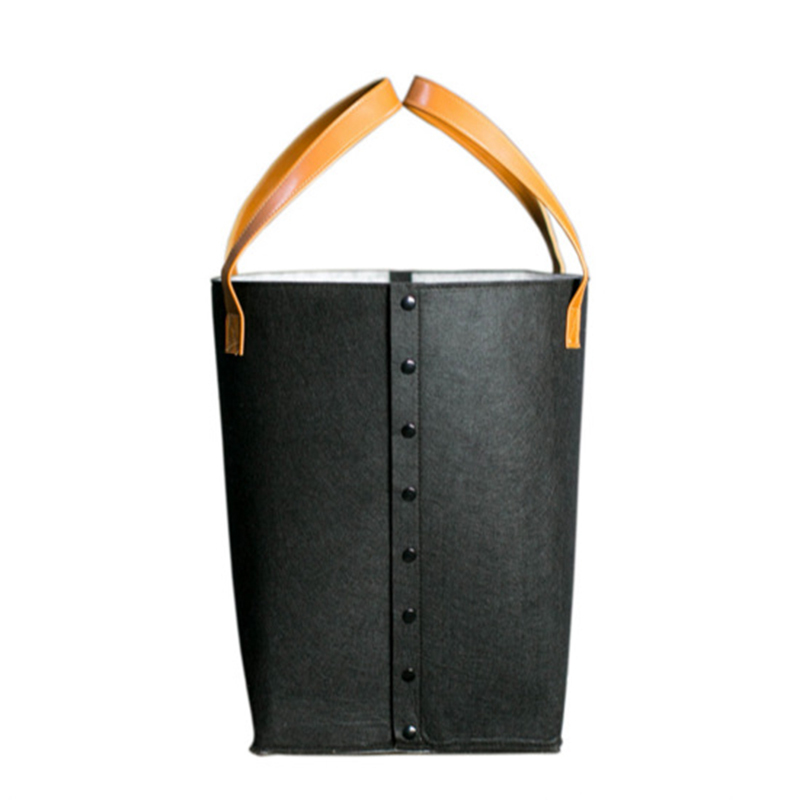 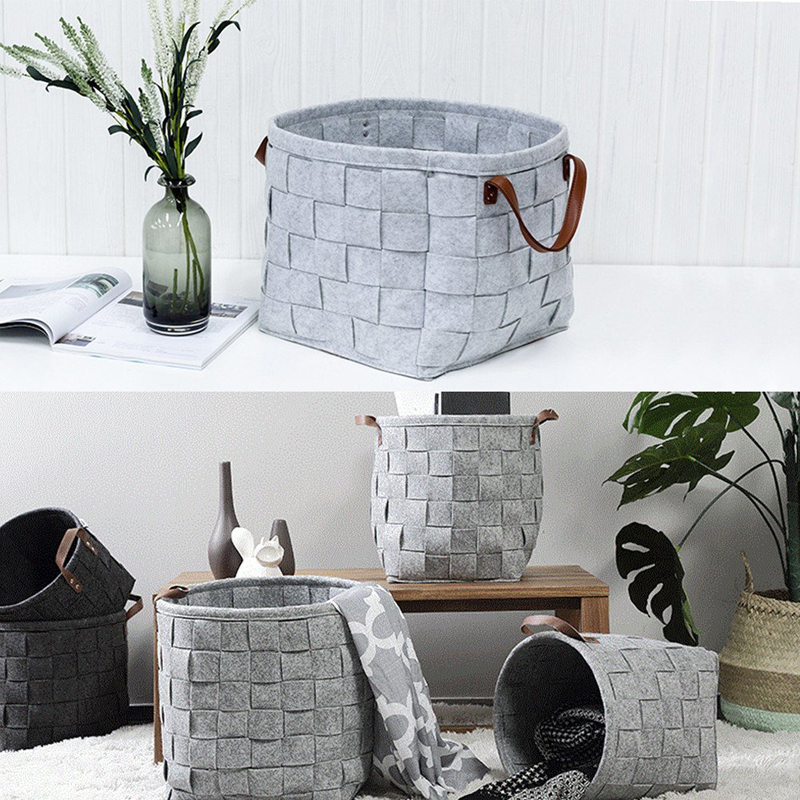 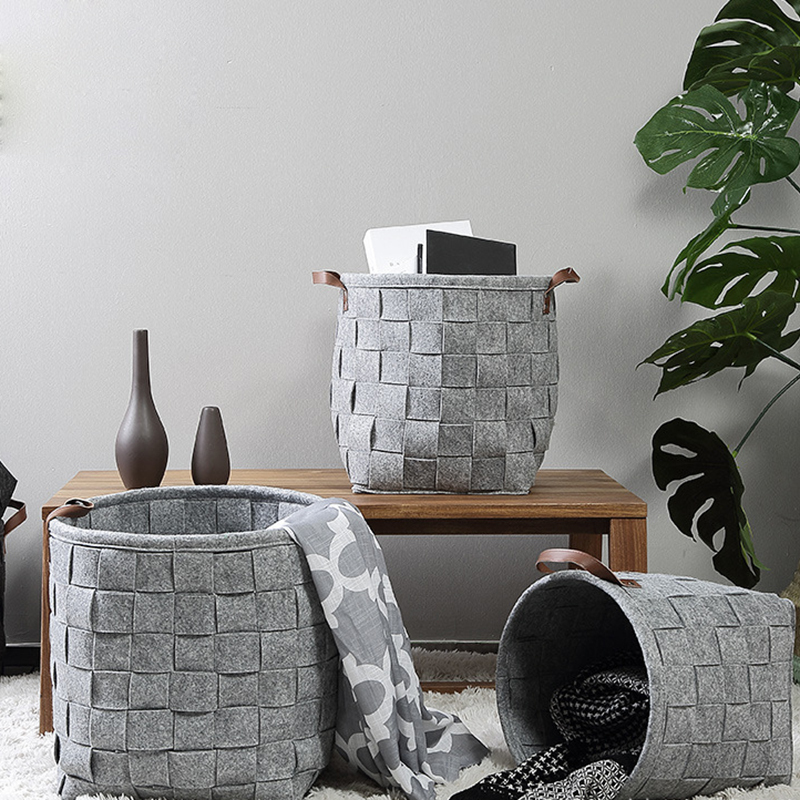 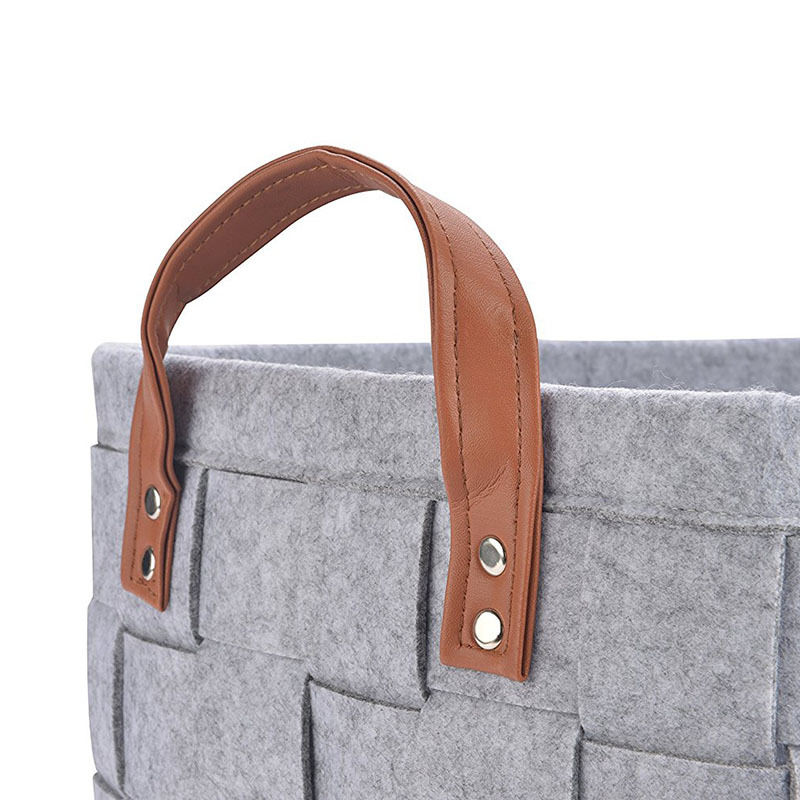 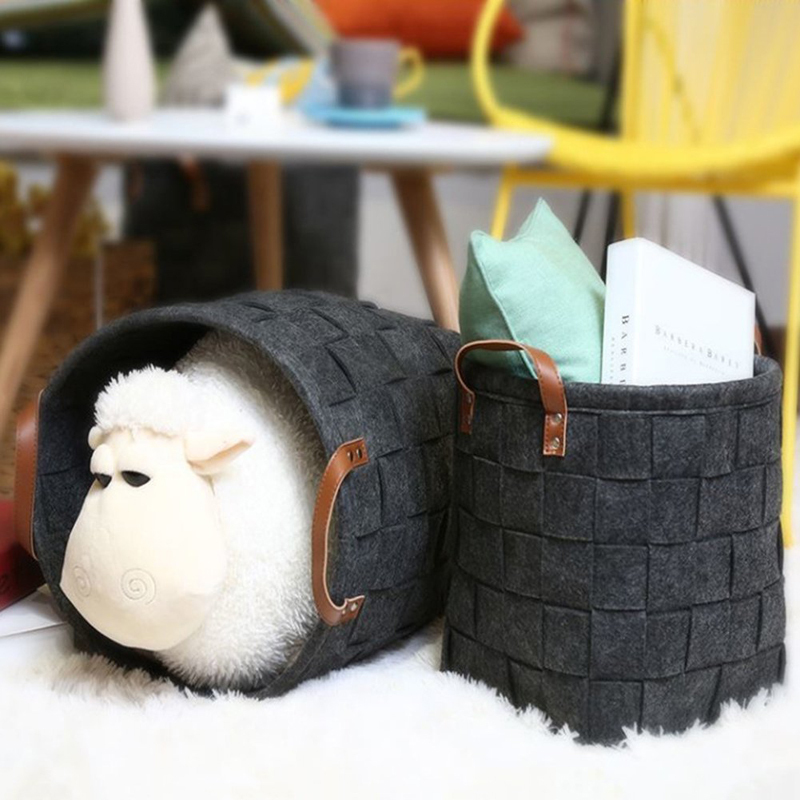 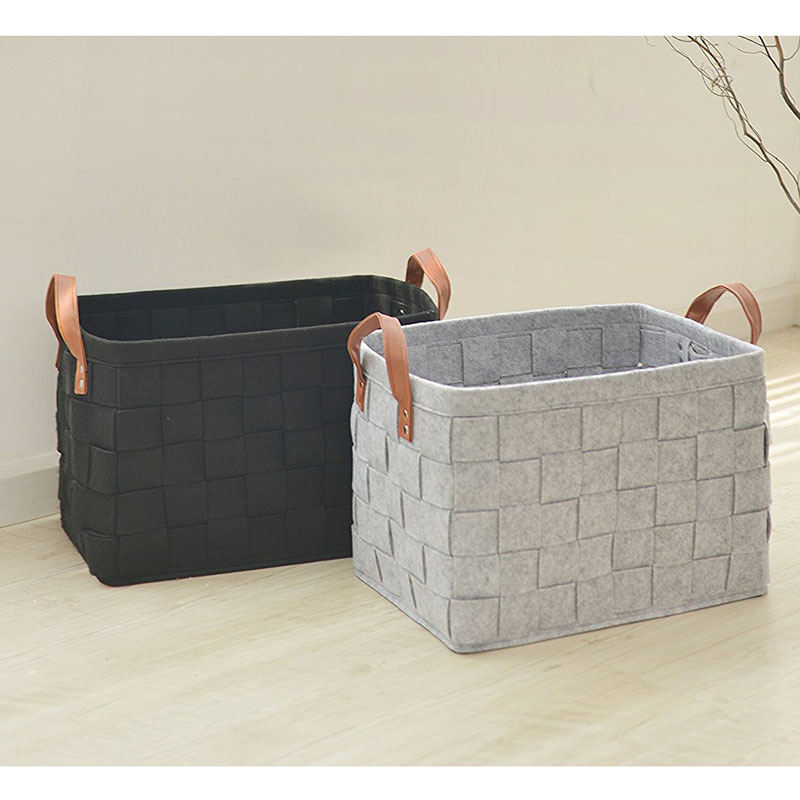 This handmade weaved felt storage basket is both fashionable and practical. 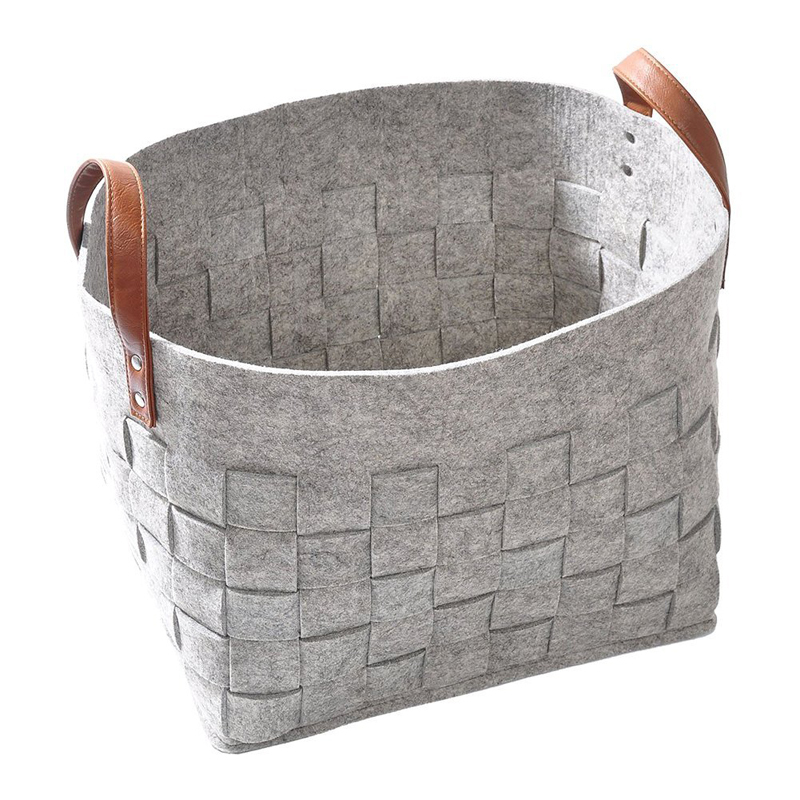 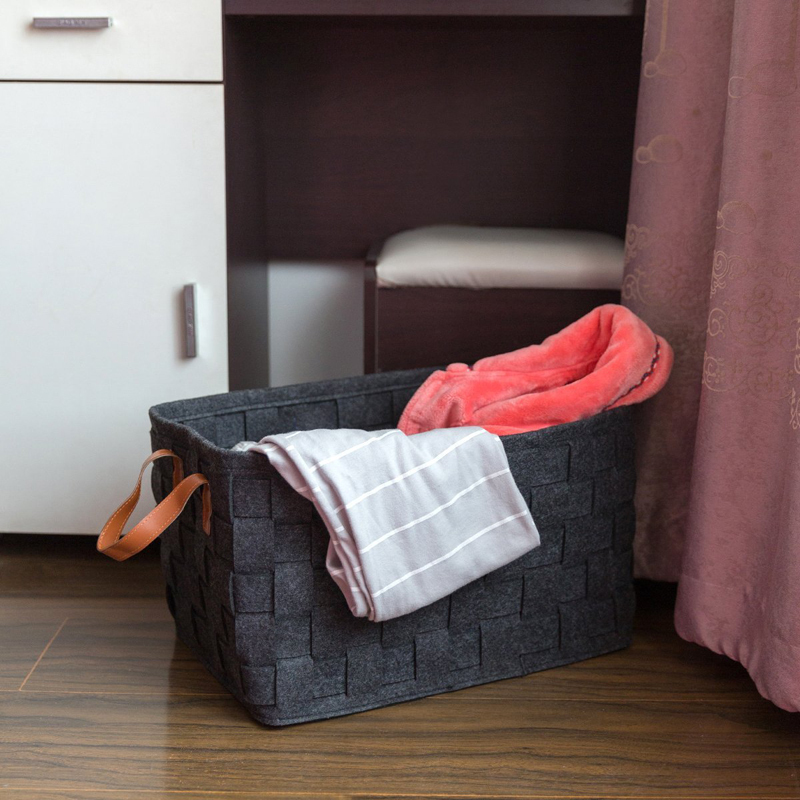 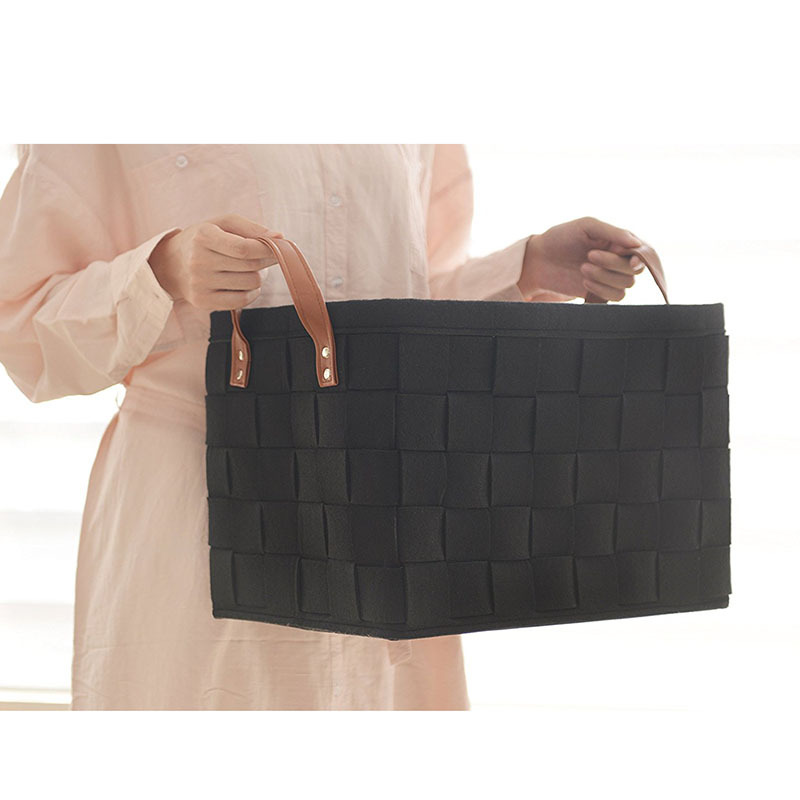 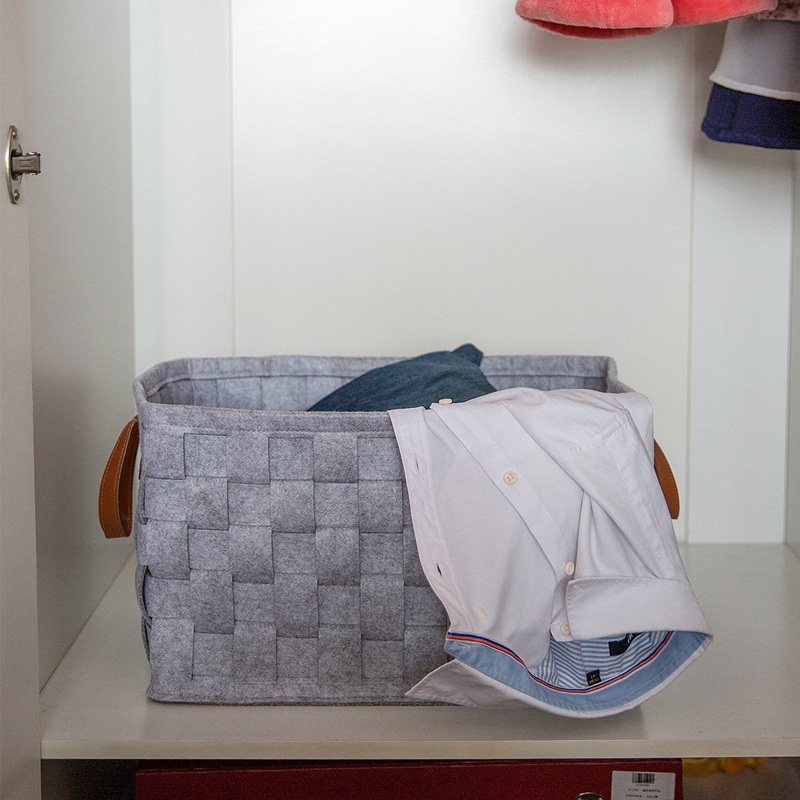 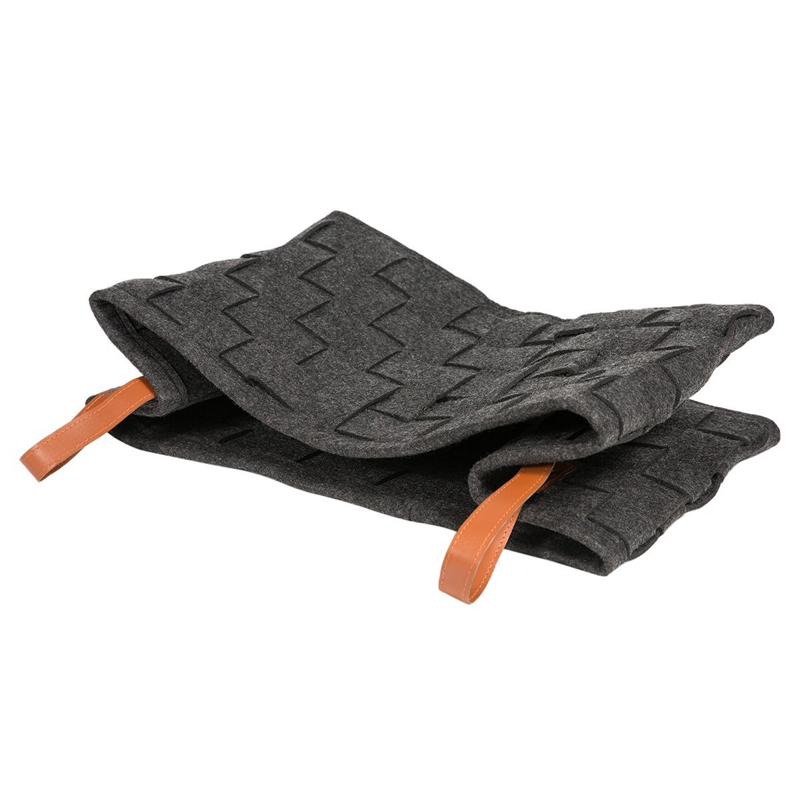 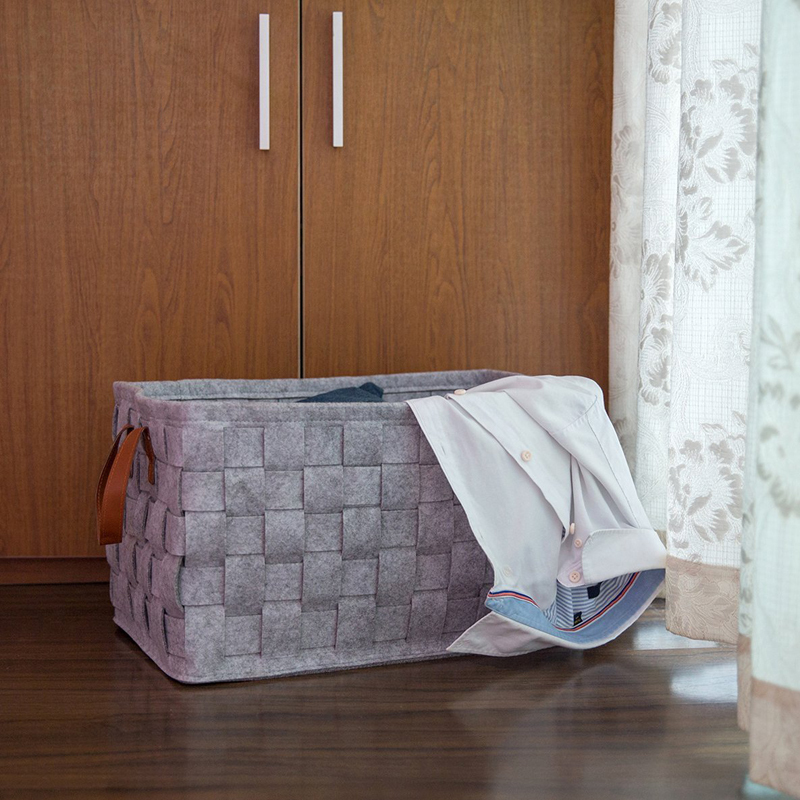 The basket is 100% natural felt, Easy to clean, waterproof and Tear-resistant. 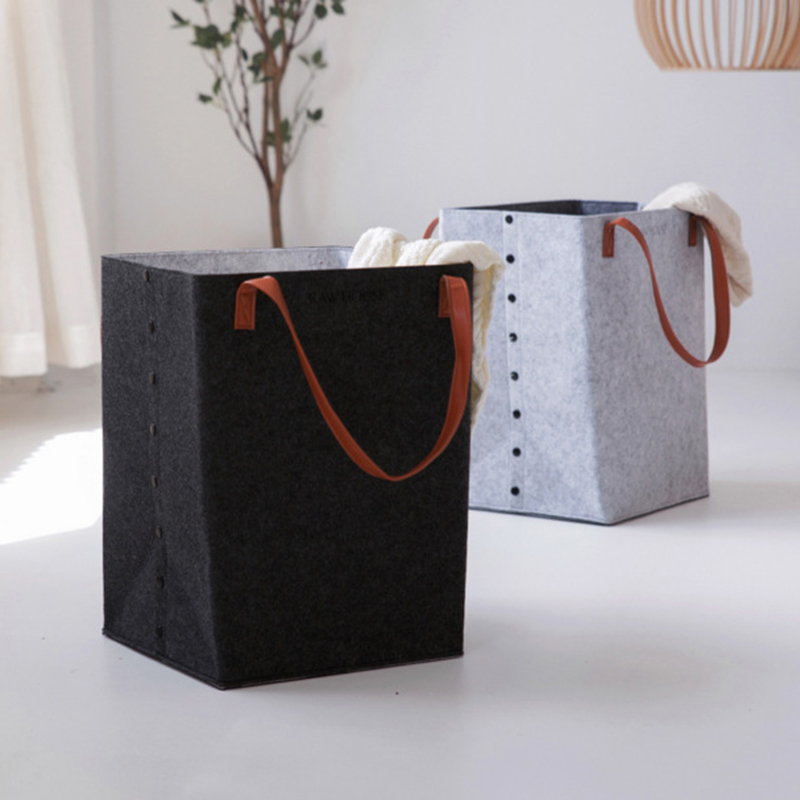 The foldable design makes it easy to store. 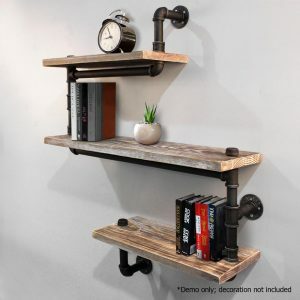 Perfect for kidsroom, bedroom, bathroom, and any room in your house, also fits on a closet shelf, bookshelf and so on. 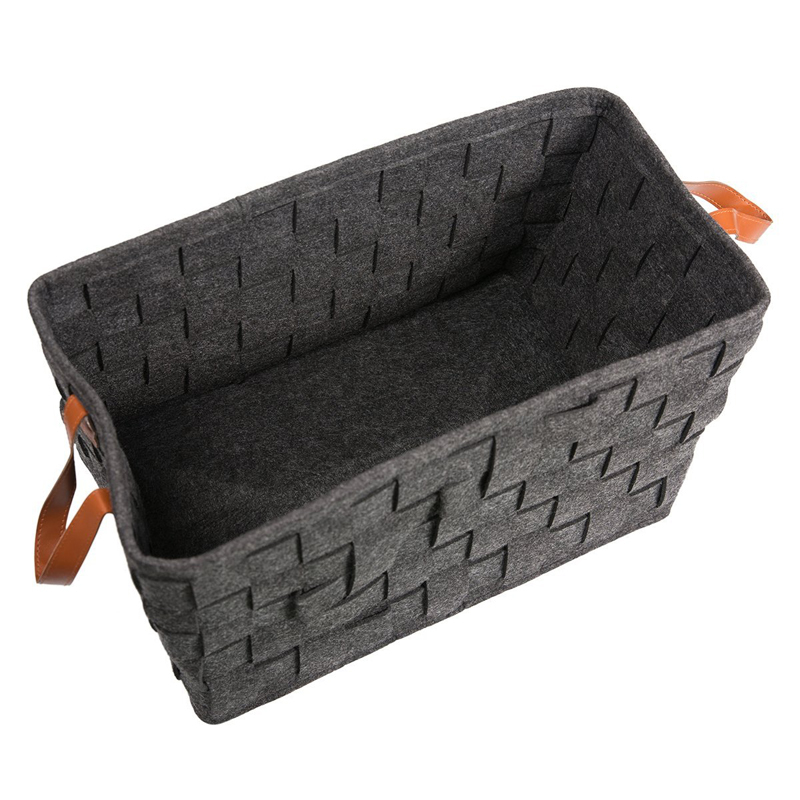 The large-capacity felt baskets can hold toys, CDs, books, newspapers, magazines art/craft supplies, clothes and more. 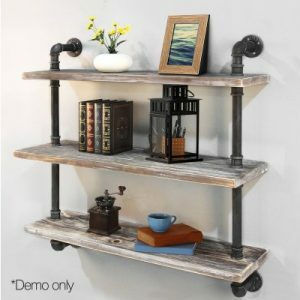 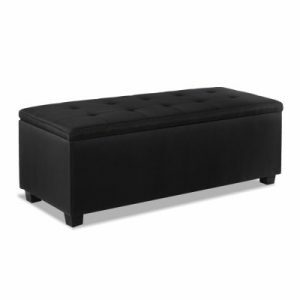 With 0.2” thickness, it stands up sturdy and steady, does not collapse.